Start a conversation about smart phones and you will soon move onto Android; which version you're running, whether it's better or worse than Apple's iOS on iPhone or BlackBerry OS on, err, Blackberry. Google has given us several successful versions of the Android mobile operating system but it has been plagued by the unusual problem of fragmentation; the device manufacturers and OEM's have forked their own versions and spooned various components onto it, with the resulting perception by customers that Android itself is fragmented into numerous different versions. The trouble is Android is an umbrella term for mobile device operating system software that is deployed on numerous versions and manufacturers. Given to the world by Google as an open standard, the phone manufacturers have taken it, overlaid their own skins and supplementary applications (or worse, substituted their own) then maintained a baseline version on the devices they sell long after newer versions have been released. The difficulty many consumers have is getting the basic Over-the-Air updates even to the latest patches, much less upgrades to a newer version. Why? Hardware certification and testing by the manufacturers. It's an expensive business patching and updating device software after the initial R&D phase, when the thankless and even more expensive task facing you is dealing with customer support calls and bad PR when an upgrade fails to work. So rather than take the risk, the phone carriers, with responsibility for after-market service, simply choose not to update at all if they can avoid it. Android 1.x Android 1.0 was released September 23rd, 2008 on the HTC G1. Interim releases followed swiftly and by the time more manufacturers got on board, Android 1.6 was a de facto standard. You can still find 1.6 shipping on budget tablets and budget smart-phones. While it includes Androids basics, like the Marketplace and home screen Widgets, it lacks support for many camera features, Adobe Flash or HTML5, whilst Bluetooth is patchy. This build is now so far out of date it's difficult to patch older devices with newer versions, even though it would vastly improve the experience. So avoid Android 1.6 devices if you can, even if the cash saving is tempting. 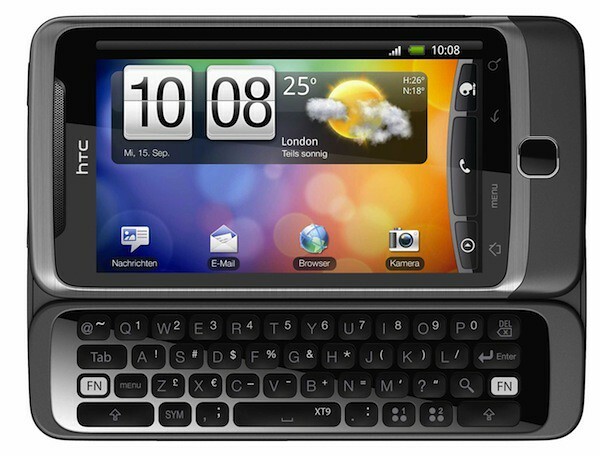 Android 2.x The popular versions of Android smart-phones and tablets run 2.1, 2.2 or 2.3. Version 2.2, codenamed Gingerbread is when Adobe Flash support for web and video applications was introduced. You will also find the latest Android Marketplace requires Android 2.2 or better. Android 2.3 is the latest smart-phone edition including extras like native VoIP support and a new download manager. It is more robust and has better all-round performance on most devices. Android 3.x Honeycomb is available only for tablets and will likely never be released on smart-phones. Despite several manufacturers offering early Android tablets with 2.3, this nonsense should now have stopped, so don't stand for it - only 3.0 is optimised for tablet touch-screens, where the larger displays, on-screen keyboard, notifications system and web browser demand better handling than 2.3's phone interface. Android 3.1 is the latest build, but it’s not a major update, adding support for peripherals such as external keyboards and gamepads. Android 4.0 The expected 4.0, Ice Cream Sandwich (yes, the names get more absurd) will be a unifying release that should work on phones or tablets with higher resolution screens and a common user interface standard. Promised are extensive improvements to the Android camera application, facial recognition technology and a 'resolution-agnostic' experience irrespective of the device type or screen-size, a real make-or-break for developers and consumers alike. Hopefully developers can streamline the coding of their apps for Android under 4.0. Google's Mike Claren has said, "we want one OS that runs everywhere." Updating Your Android Device You would think as Android is Open-Source, you would be able to update whenever you like. As we already notes, your carrier may not think that way, particularly if they have skinned it with HTC Sense or Motorola Blur. You can wait a long time for Over-the-air updates, which may never come, even if you try to run Software Update through the Settings menu. The alternative to waiting on your carrier's bounty is to 'root' your device and 'do-it-yourself' by installing a ROM for a newer version. You need a level of bravery and technical ability to do this, as the process varies per device, you will need to download a specific ROM and some detailed instructions. Be aware this can invalidate your warranty, 'brick' your device if you get it wrong and render it inoperable. Your carrier will probably invoke their terms of service and laugh off your support call in the event this happens.